What do we do at South Coast during an annual exam? 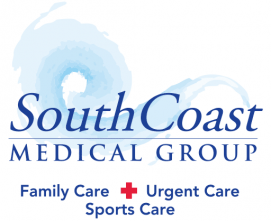 An annual physical exam gives the doctors at South Coast Medical Group a snapshot of your health. The doctors take note of your vital signs, discuss your medical history, and review any health questions or concerns you might have. If you live in Aliso Viejo, California, or the surrounding communities, make an appointment for this important physical exam today. You can even book online. 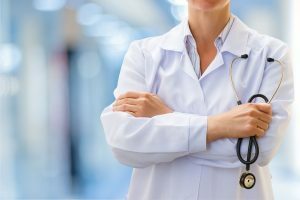 Why do I need annual physical exams? Annual physicals provide your doctor with a good understanding of your current health, identify possible health risks or problems, and help you manage chronic disease. Certain health issues, such as insulin resistance or heart disease, come on gradually. If you monitor your risk factors regularly, you can catch the progression of the disease before it becomes serious and discourage major health events. During this exam, the South Coast Medical Group staff measure your blood pressure, heart rate, and temperature to make sure they’re normal for you. Your doctor listens to your heart for a murmur, signs of heart disease, or an irregular heartbeat. They check your lungs for wheezing or shortness of breath. Your doctor looks at your throat and tonsils, and examines the health of your teeth and gums, which can be indicative of your overall health. Your doctor also checks your thyroid, ears, sinuses, and lymph nodes when examining your head and neck. Your stomach, skin, muscle strength, and nerve reactions (reflexes) also give the doctor clues about the state of your health. Review any medications you’re taking so your doctor can determine whether the dosage is still appropriate for you. Men may undergo a testicular and prostate exam while women may choose to have breast and pelvic exams. Will I have tests done? Your doctor may order routine blood tests, such as cholesterol and blood sugar checks, to evaluate your risk for heart disease, Type 2 diabetes, and other chronic diseases. At age 50, a colorectal exam (colonoscopy) is advised for both men and women. For women, a regular yearly mammogram is recommended starting at age 45. What lifestyle considerations do the doctors address? Your doctor will talk to you about ways to keep yourself healthy and prevent chronic disease. They may ask you about your nutrition and lifestyle habits. They’ll recommend regular exercise and a healthy, mostly whole-foods diet, and they’ll advise you to keep alcohol intake to a moderate level and avoid smoking. This is the perfect time for you to build a relationship with the doctor and to ask questions about your health.